* Total number of reviews and star-ratings are based on data collected during the time period Standard Plumbing, Heating, & Air has been using the ReviewBuzz system and may not directly match the data found on each public review site. Prompt and professional installation. Cleaned up before leaving. Couldn’t ask for more! Thanks! I must say I was actually excited to write this review. I had a horrible experience with a plumbing issue, and Chris came over & saved the day. One thing I really respected about Chris is he answered my questions completely, and made me feel like every question I had was a valuable question! That means so much! 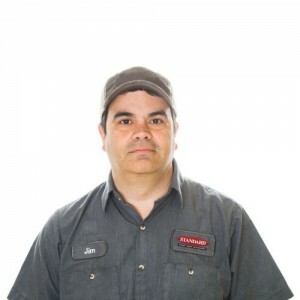 He explained everything he was doing to me, and was very knowledgeable, professional, and this is actually the first time a plumber has ever left my house and I actually understood the details of the problem that occurred, and what is being done to fix it! Thanks Chris!!! You are Awesome!!! 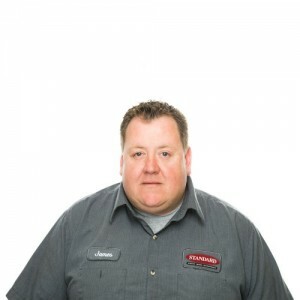 Jim is always very pleasant and does a good job taking care of any problems. On this occasion there was no problem, so he gave a good explanation of what was happening and no service was needed. Timely, nice, professionals who had the job done in an hour. Will be recommending and using in the future! Timely response, quick to assess concerns and provide best solution with clear price estimate. Very professional and honest about full evaluation concerns. Cleaned up and completed repairs as discussed. Will request again! On time, considerate, patient and polite. Thorough evaluation of the problem, recommended reasonable courses of action and provided estimates. Dalton is a guy I'd like to see anytime I have to call. I'm not sure of the names of the two gentlemen that fixed my furnace. They were timely, professional, and easy to get along with. They diagnosed the problem very quickly and had the needed part at their shop. Came out same day I called when the company I usually use wanted me to wait 3 days for an appointment in the cold of winter. This is the second time your company has been first to get out and help me when I had a problem. Early March my pipes froze and the man only worked an hour to fix it for me. When again the other company wouldn't come for a few days! He was one of the men who worked on my furnace too. I'm just bad with remembering names! I think this is the second or third time you have sent this to me. Your service is excellent, as I said. Please stop sending this. Standard plumbing is the best. I made contact with them about a sump pump issue on Monday and they had someone here on Tuesday to get it replaced. While here they found another issue and handled it as well. Great service. Dave N definitely knows his stuff! Very timely and got the job done quickly. James and the man with him did an excellent job in taking care of our heating system problem. The system runs much better now. We are very happy with the service Standard provided. Prompt and efficient in his work. Very friendly and helpful in explaining the problem and solution. We appreciate the service we have received from Standard over the years. 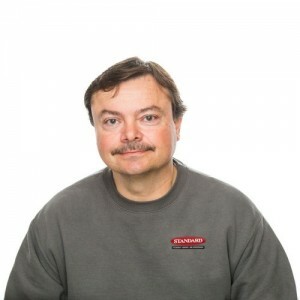 James is very knowledgeable and always does a good job. I have been a Standard customer for many years and I have never been disappointed in their service. The techs are all incredibly knowledgable professionals who are obviously proud of the work they do and the office staff is courteous and eager to see to the customer's needs. David was out today to repair some faulty plumbing and he did an outstanding job. Working with Standard is always a pleasure. Ty did an excellent job and explained what he was doing as he did the repair. He was very kind and respectful. He also cleaned up before he left, leaving the area spotless. Friendly and capable technician... kept me informed of the status of the project throughout and completed the task efficiently and safely. Excellent service by David. He is very professional and we are more than pleased with his work. 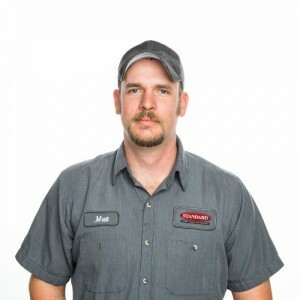 Had a pretty stressful situation for a tenant with a clogged sewer line and Matt was very professional, helpful, answered every question with clear explanation, provided options, and went the extra mile. Been working with John and his crew at Standard for years and happy every time. 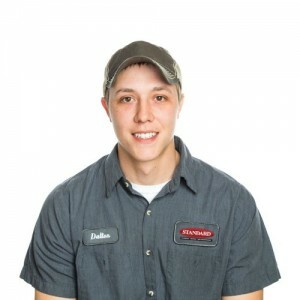 Customer service is always a top priority at Standard Plumbing, Heating, & Air. Our BBB Membership A+ rating is like a badge of honor as we continuously strive to provide the best experience for our clients.